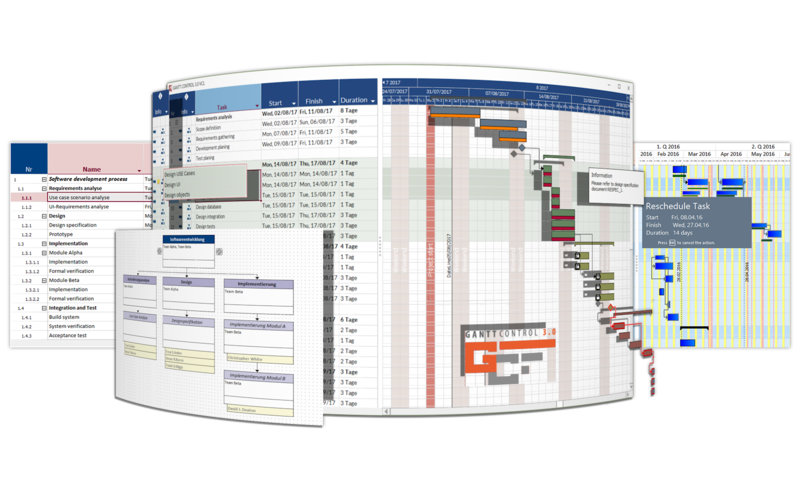 The component Gantt Control VCL 3.0 enables software developers to visualize and schedule tasks, activities and events in their own software applications in a flexible way.Gantt Control is adaptable to different requirements and is applicable to most scenarios e.g: Project management, Scheduling and task management, Production scheduling, Employee scheduling.Core components of the Gantt Control are the gantt chart, the pert chart, the linked table view and a comprehensive printing preview.The Gantt Control component is available for the software development environments Delphi XE2, Delphi XE3, Delphi XE4, Delphi XE5, Delphi XE6, Delphi XE7, Delphi XE8, Delphi 10 Seattle, Delphi 10.1 Berlin and Delphi 10.2 Tokyo. Delphi/C++ Builder VCL/FMX components library for fast Digital Signal Processing (DSP) and data visualization. Allows fast complex signal manipulations with zero lines of program code. Free for non-commercial use.